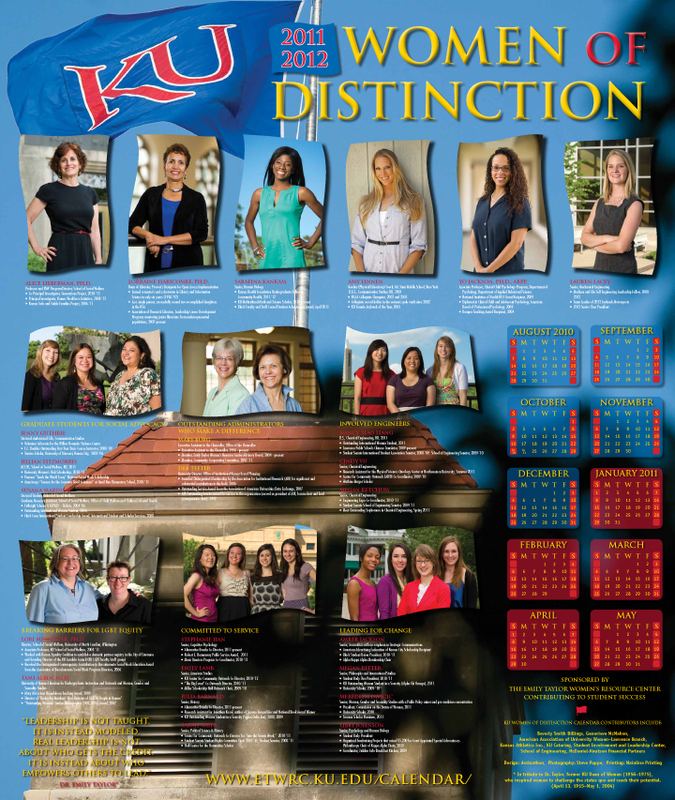 The staff at the Emily Taylor Women's Resource Center at the University of Kansas knows that behind every great university are great women. 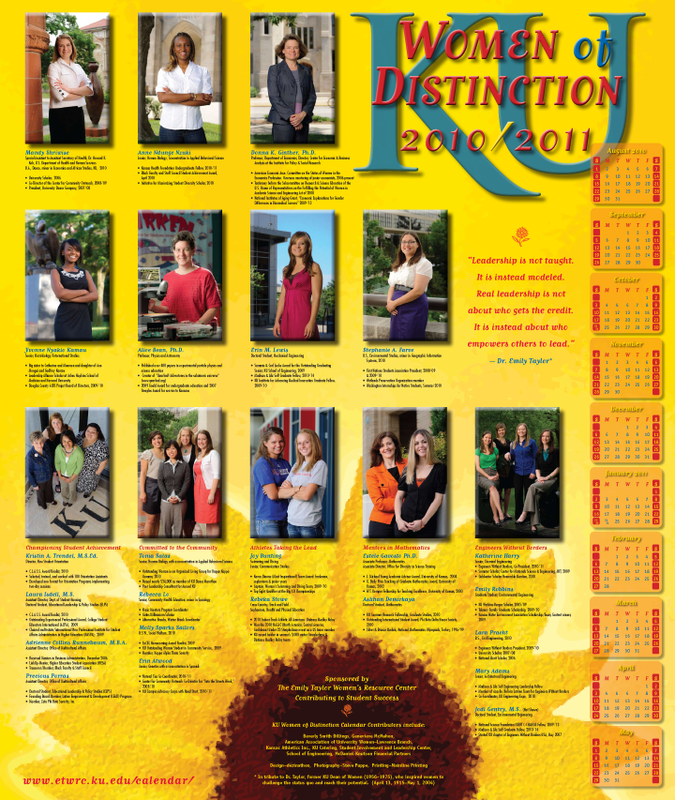 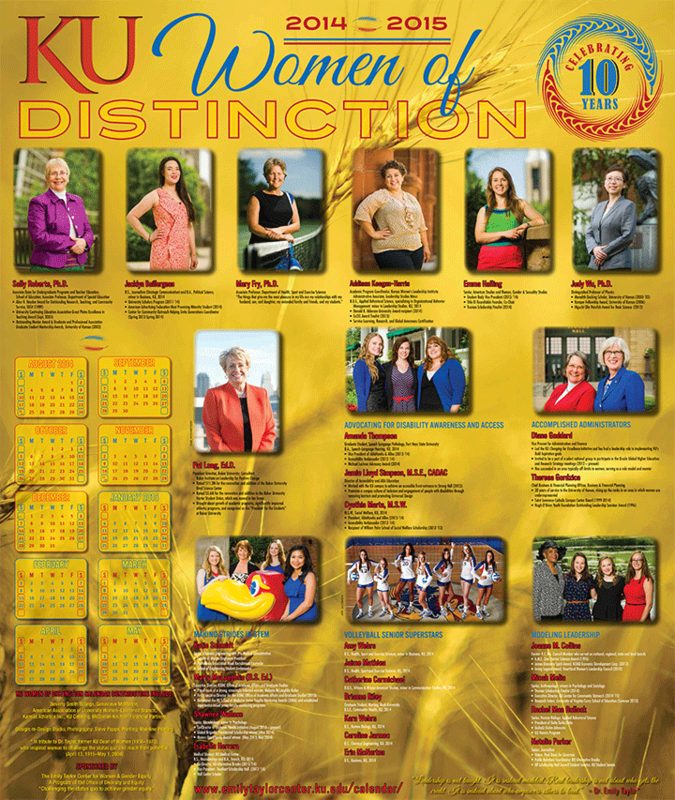 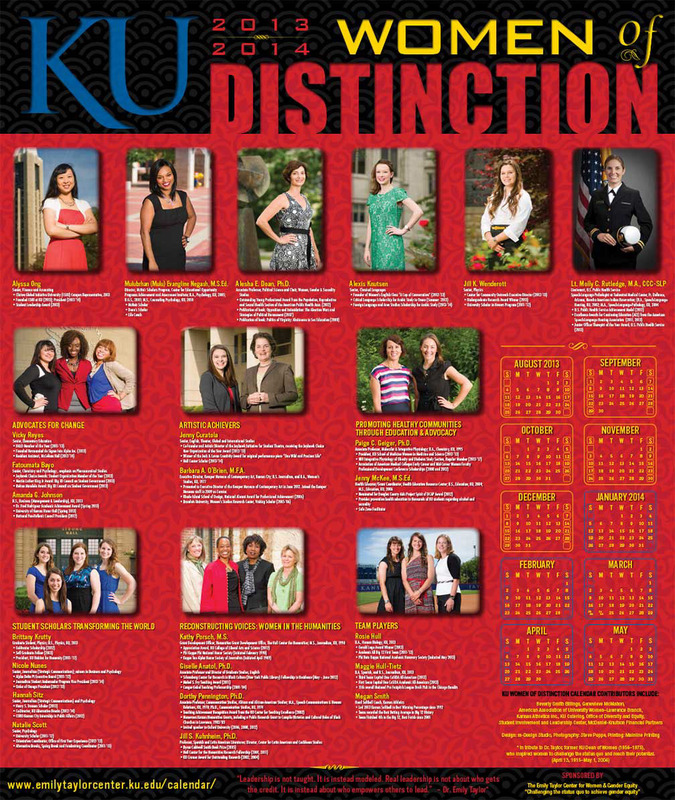 To honor those women who stand out among KU's faculty, staff and student body, the Center asked me to design an annual poster/calendar presenting the year's best representatives with photos, biographies and compelling design. 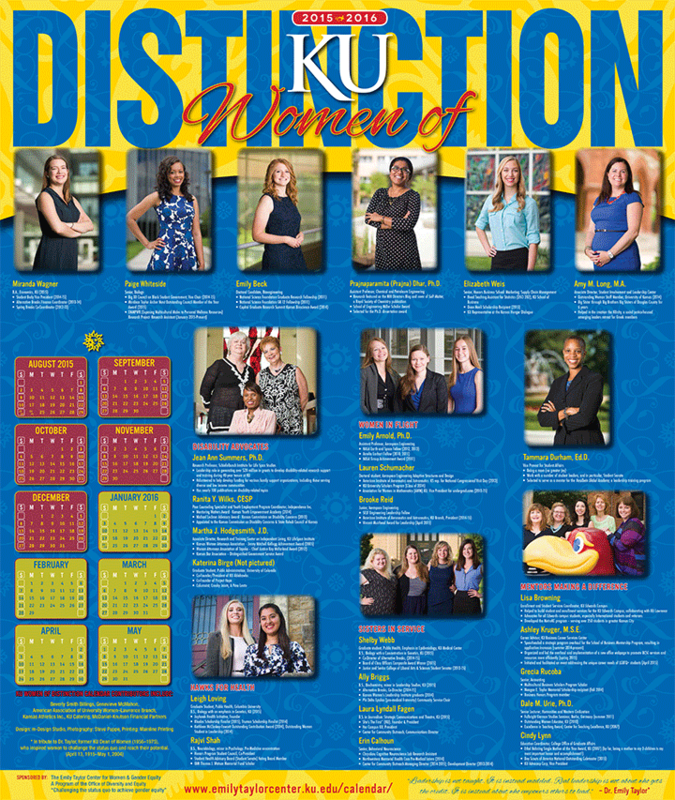 I've been honored to design the poster for 11 years - a testament to the fact that campus women can be portrayed in calendar format both tastefully and successfully.